oxafrica TV is excited to announce the addition of CultureTree to its show catalog. 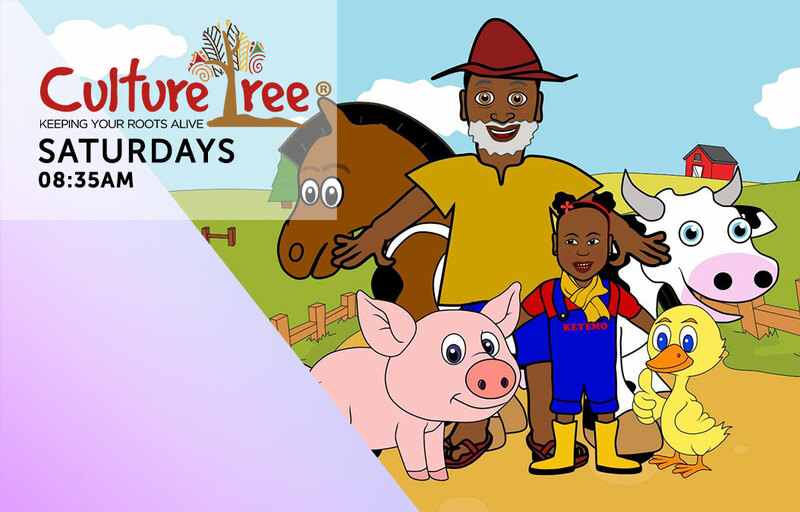 The brand new series, CultureTree, will be made up of 12 minutes episodes, of fun Yoruba Nursery rhymes, exciting singalongs and fun activities for kids. CultureTree’s Yoruba Nursery Rhymes and Yoruba Stars series – Introduces a fun new way to learn the Yoruba language. With classic Nursery Rhymes like ‘Baba McDonald, Eropileni, Bingo Itsy bitsy spider and more. As well as educational series, that teaches children how to say, animal names, Professions, greetings and more. in Yoruba. The show will include stunning and colorful animated videos of popular English nursery rhymes, which have been translated to Yoruba – Some of the evergreen nursery rhymes you sang along to as a child, including stories, lullabies and other educational clips. CultureTree, created by Gbemisola Isimi, has been scheduled to air every Saturday at 8:35am – Due to launch on Saturday, February 4th 2017 – Airing on Voxafrica’s Sky 218 and Gotv17 / DStv 191 platforms, airing across the UK and Anglophone Africa. The show will also be aired during the week at: ​1.30pm on Sundays,​ 7.05am on Tuesday and 8.15​am on Thursdays. With a mission to teach children African languages, starting with the Yoruba language – CultureTree’s method is simply to make the learning process a fun, interactive and natural experience. “It has always been my desire to pass on my language and culture to my children but it soon became obvious that there was a dearth of educational materials aimed at teaching children Nigerian languages. This inspired me to do something about it myself”. Voxafrica Is Back On The France Orange Platform, Channel 589!Have you Heard?